First, one motorcycle entered a big metal sphere and started riding inside. Around and around, up and down, doing jumps and riding upside down. As if that wasn’t cool enough, another joined. And another. And then two more. All going in a circle, with an estimated 3 inches between one motorcycle and the next. One mess up and I was sure to witness the worst ever motorcycle accident in history. And then three more motorcycles entered the sphere. 6 motorcyles, ha, ha, ha! 7 motorcycles, ha, ha, ha! 8 motorcycles! I can almost hear the laugh from the Count on Sesame Street. This motorcycle act in the acrobat show seemed to be a symbol for my whole trip to China. Crazy, a little bit beyond what I ever expected, worrisome, but mostly cool. 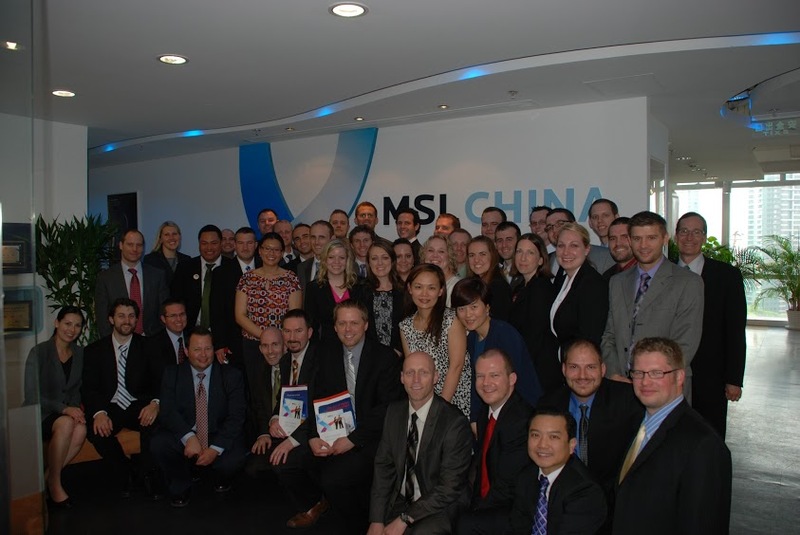 The first week of May, forty young-ish Professional MBA students from the University of Utah and three advisors took off on a trip to Beijing, China. The following is a true account. Me=younger, less work, less marriage, more female. 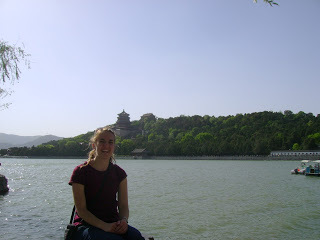 Admission of guilt: Prior to the trip, I never really had much of an affinity for Chinese culture. And we Americans have a certain fear of China because they own, oh, you know, $1.2 trillion of our debt. But I knew that if I wanted to understand international business, I needed to understand China. And someday, I hope my business (aka The Church) will make it there and I would willingly sign up to take that business to all those wonderful people. So I went. We spent the first four days meeting with many different business leaders in China. We checked out the U.S. Embassy, a PR agency, two state-owned oil corporations, a polo club, a communications consultancy, two manufacturing production facilities, and research, law, and real estate firms. That was truly eye-opening to me. Each business was so different. Many of the companies were very open about their work and the challenges and opportunities available in China. It is obviously a growing country and there is a lot happening that is good. But there is also a lot happening that just makes you wonder what is really going on. Businesses are plagued with the fear of corruption, IP protection and rising labor costs. Traditionally, China has been effective in many ways because they can do work so cheaply, but as other places become more viable options for production, they need to really find something more marketable. And innovation seems to be lacking. They can manufacture and produce anything, as we are well aware. But I feel their economy would most benefit if companies did a better job drilling down and researching the customer. This market research would help companies make what the consumer wants instead of just copying what already exists. If they have the skills and the ability to make really nice fake Gucci bags, I am assured with research into the consumer’s wants, they could make their own really nice, real Chinese-brand bags. Anyway, enough of the business stuff (which is what I loved, but probably not why you are reading this blog). PS-I read that if you are travel blogging, you should never EVER make lists. 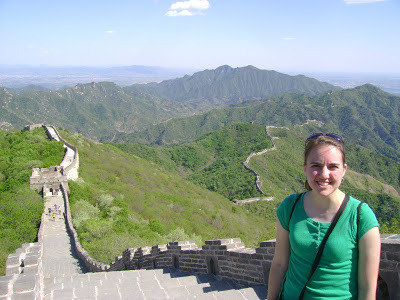 1) The Great Wall of China-It really is great. I mean…look at it. It was so beautiful up there in the mountains. First of all, the wall was cool, but it’s also just awesome up there! We hiked up for a little over an hour and then hiked back down. So many stairs…but it was totally worth it. 3) Summer Palace-Here we are, in the middle of a huge city of 20 million people, and we enter the palace doors to this beautiful palace, forest and lake area. I’m sure there were at least 1 million people inside wandering the park. It was so big and awesome! 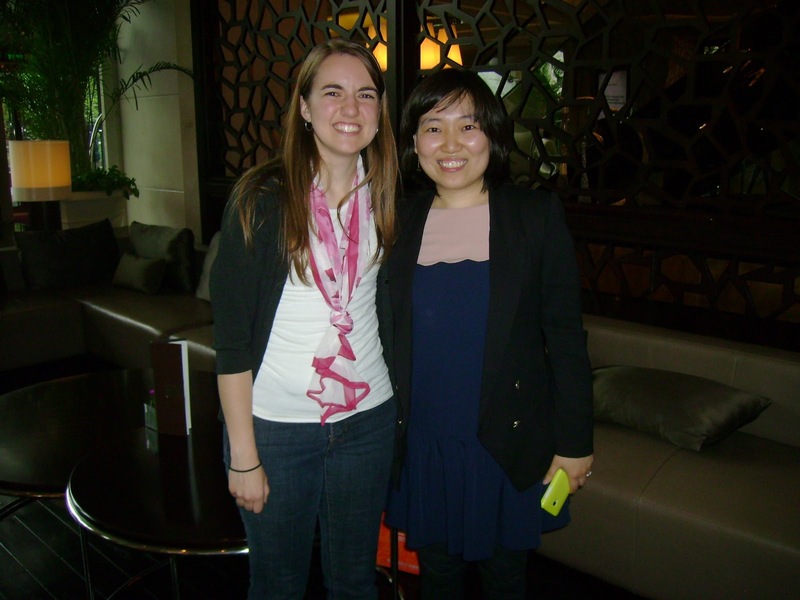 4) Meeting up with Zhuo-I had a roommate at BYU about 5 years ago who is from Beijing. She came to BYU to do her master’s degree in chemistry. At the time, she had no idea she was walking in to this Mormon-y crazy Provo-Happy Valley university. We made sure she got the full experience. She moved back to Beijing after graduating and is now married and hoping to start her family soon. Makes me kind of sad they still have the one-child policy because she’s going to be a great mom and I’m sure she’d do great with more. Loved seeing her. 5) District Conference-I found out the Beijing branches were having District Conference on the one Sunday I would be there. (Yes, there are branches in China, but it’s only ex-pats who can attend the branches together). And it just happened to be only 30 minutes away (by subway). I went with a few guys and hit up the conference. They had an Area Seventy there, which was pretty cool. I was surprised by how young the families were and how life just seemed, well, normal. I walked in and it just felt familiar…just like the Church always feels to me wherever I go. It’s such a blessing to know the gospel is the same everywhere and that even when you’re far from home, in a crowded and crazy city, where you don’t speak the language and you don’t know the people and you’re not familiar with the culture, you can just walk in and be right at home at Church. I loved it so much I cried all the way through the meeting (and/or I had really, really, REALLY bad allergies–for reals–and I was teary, red-eyed and sneezy for the next 3 days. I’m pretty sure I STILL have the Beijing cough…three weeks later). 6) Acrobat show-’nuff said. Chinese acrobats are the coolest. 7) Silk Market and Pearl Market-Ok, I’m a terrible negotiator and I totally got swindled my first time trying to negotiate something. But then I got really good at the game, and it’s kind of, sort of, maybe a little bit fun. And if you ever go, just walk in like you know what’s going on, name your price and if they don’t accept it, walk away. If it was reasonable, they’ll come chasing after you and pull you back in to buy their product. Got some cute Chinese outfits for my favorite kiddos that way. 1) Pollution-It’s really bad. Like REALLY bad. Our national standard is 35 ppm. China recorded 900 ppm earlier this year. It was around 200 ppm when we were there. You seriously couldn’t see more than 2 blocks away the first 4 days we were there. Thankfully, it cleared up for our touristy days. 2) The eery feeling that something is going on that you don’t understand. Example, we went to a new development area of a city that has 13 million people. No one in the train station. No one at the polo club (completely empty expensive building), no one on the streets, no traffic, no one at the restaurant. But construction going on everywhere! It was just…strange. Like they’re building for a future no one knows about. 3) Corruption-FYI-I don’t like corruption. 4) Squatty potty-My prayers have been filled with so much more gratitude these days as I realize how blessed we are with our lovely little toilets we can sit on. 1) My program is full of amazing people. One week together helped me really learn to network and make friendships with our whole group. Our group had amazing and insightful questions for the companies. We have many different backgrounds and experiences that we were able to talk about and build upon. Overall, I just realized, once again, how impressive the University of Utah’s PMBA program really is. So much talent there. But…let’s be honest, I learned that boys don’t grow up. A hacky sack accompanied us at every location for down time. Lots of clapping and cheering. Lots of punching in the arm. Lots of talk about how the food was making them feel. I won’t go on. But they were great, too. And thankfully the 8 women from the program could help each other back into normalcy every once in a while. 2) Beijing is actually a pretty city. Once the pollution left at the end of the week, everything looked so green and it was a very well-kept city, at least in the parts we went to. Lots of trees and flowers. Interestingly enough, Beijing reminded me a lot of Curitiba-big city, lots of people, huge contrast between the rich and the poor, etc. One of the major differences? Well, the Chinese language, of course. And bicycles. Everywhere! 4) I think more capitalism would do that country good. I didn’t really enjoy the party officials joining in on some of our meetings. Felt a little oppressive. 5) I think I need to learn more than 5 phrases in Chinese. Because “Hello”, “How are you?”, “Thank you”, “You’re welcome”, and “You look lovely” can only get you so far. 6) Our Chinese food is SO Americanized. I never saw a single wonton or fortune cookie my whole time in China! Nor have I ever seen scorpions and Starfish in American-Chinese restaurants. And Peking Duck…yum. Loved it. Overall, it was an amazing experience. It was something I could never do on my own nor ever will get to do, to see how businesses work and meet with key decision-makers in important companies. I was enthralled with the economic aspects of the trip and enjoyed seeing such a fascinating culture. I have an increased desire to study the history of China and understand the culture better. Worth it? Totally. Glad I went? Definitely. Would I go again? Hmm. Ask me after I get rid of the Beijing Cough. The group visiting MSL China, a PR agency.